"The Leader in new Rigging Concepts"
Another First ! Developed by the RIGSTAR company ! 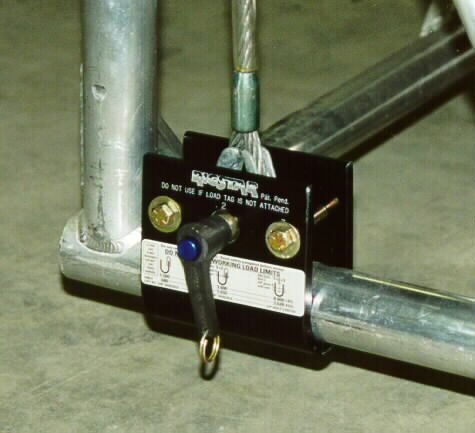 The standard Rigstar "TRUSS HANGER" measures 5" tall x 5" wide and 2.8" in depth (custom lengths available), weighs only 1.9 lbs, and has two 3/8" through holes and one 3/4" through hole. The 3/4" hole is the only hole to use for all lifting with either a 5/8" shackle, 3/4" grade 8 bolt, or a 3/4" quick release pin. 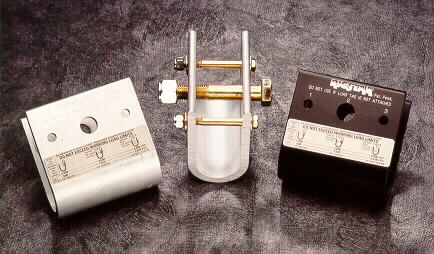 They are made from 3/8" thick 6061T6 structural extruded aluminium, using a 5:1 design factor. 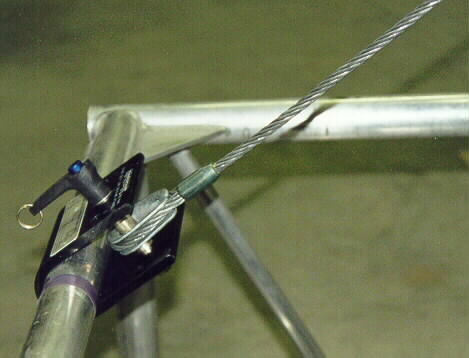 Each "TRUSS HANGER" has a working load limit (W.L.L.) range from 1,500 lbs. To 8,000 lbs. 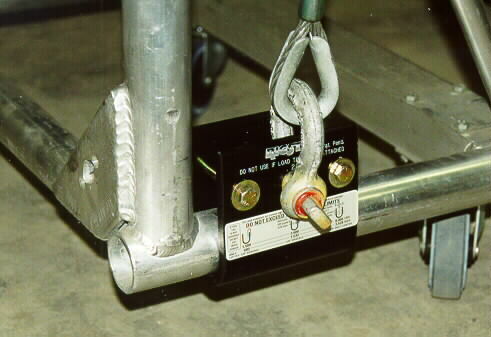 The Rigstar " TRUSS HANGER" can be used on any 2" O.D. tubing, for hanging lighting trusses, outside roof grids, theater pipes, curtain pipes, and any other use that you can imagine. Two TRUSS HANGERS can be joined together to act as a swivel clamp such as adding 2" pipes to a lighting truss. The Rigstar "TRUSS HANGER" was developed to get away from using polyester round slings, because of the safety standards that are inforced throughout the world for companies to safety all trusses with steel cable, in case of any fires that may make the polyester sling fatigue. 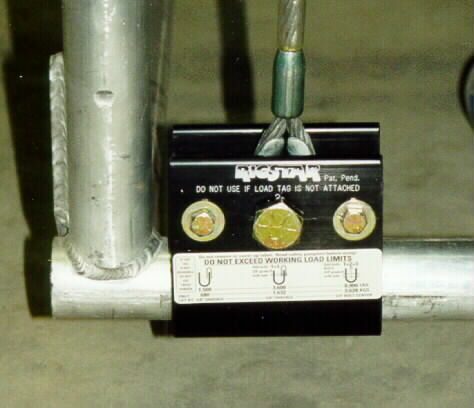 More and more arena and theater staffs are making lighting companies that go into their building add steel cables around the truss to the chain hoist as a safety back up. 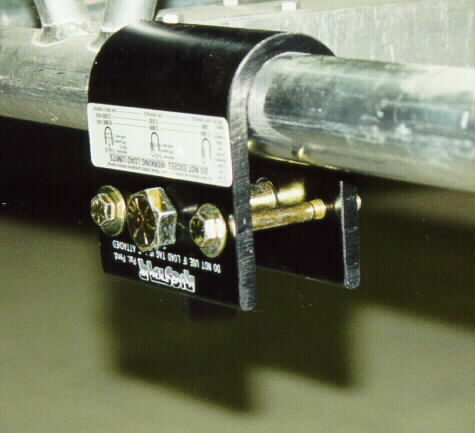 This will not be needed when using The Rigstar "TRUSS HANGER" with 3/8" or 1/2" steel cable in the first place. 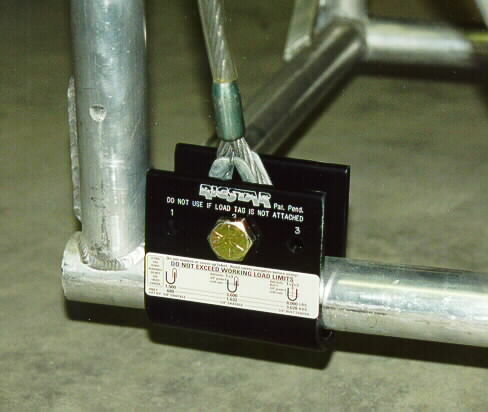 The Rigstar "TRUSS HANGER" will become the #1 standard in truss hangers to be used in place of polyester round slings to hang all trusses with existing 3/8" or 1/2" steel 7x19 or 6x19 iwrc cables. 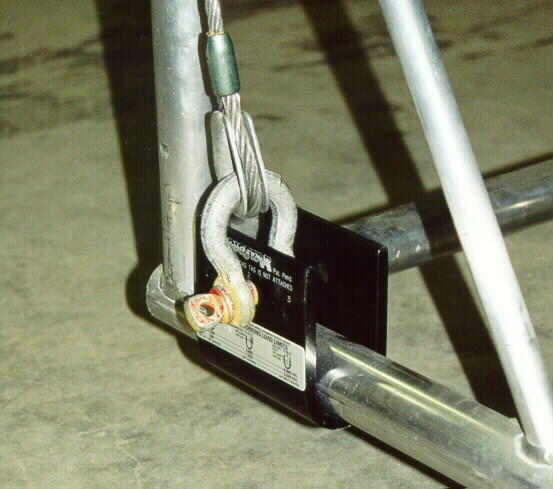 For the different configurations that the TRUSS HANGER can be used in, along with the care and inspection tips . 3/8" & 1/2" steel cable with a clear polyvinylchloride tubing covers to prevent rubbing and abrasion along side of truss. The cable and TRUSS HANGER replaces all polyester round slings. Note*** We are not stocking the Black anodized hangers at this time. We suggests that you can cover the load tag and paint the hanger using Krylon paint.